Although my brother gave it to me at Christmas, I just had the opportunity to sit down with this book a few weeks ago and as Marie Kondo would be so proud to hear me say, it sparked joy! I finally had a word for my favorite feeling of coziness. Pronounced "hoo-gah" and roughly translated means "coziness", but it's way more than that. It's a way of living. 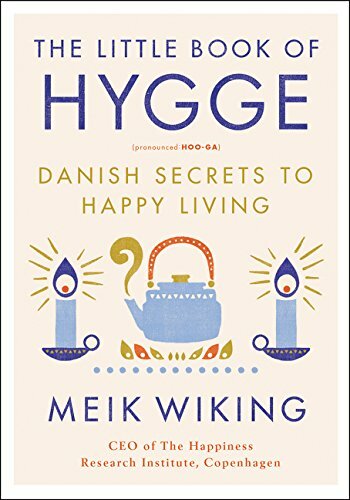 The Danes strive for a hygge life as a way to combat the long cold and dark winters. If you gravitate to Pinterest and Instagram pictures of candles, knit blankets, and soft cashmere sweaters you crave a little hygge in your life. I've always known this is what I gravitate towards but didn't have a name for it. Thank god for the Danes! Now that I know it's an actual word I feel as if I can actively seek out hygge moments in my life. It's much more than having a cozy house, although that's essential. When I walk into a friends home that oozes warmth, easy to sit on furniture, loads of books, and the pefect Diana Krall soundtrack in the background I know we're going to be friends for life. Warm dinners with friends over bottles of wine, candles and hip music is a guaranteed recipe for hygge. A girls weekend with coffee in the morning in your PJ's bingeing on Big Little Lies: hygge. An armchair, your favorite Ugg slippers, a breakfast nook: as the Danes would say, "that's so hygge". Oprah coined the phrase, Live Your Best Life, and I'm on a quest to do just that. Therefore I wondered what other words were out there that I could intentionally add to my daily routine. Just thinking about them makes my heart feel more content. Maybe they will do the same for you. This one seems easy to add into my daily life, but in order to do it the right way it needs to be an actual break from what I'm doing. For me that means reading a gasp! ACTUAL BOOK. I mostly listen to books, about one a week, but as I've been off FaceBook just in the past two days, I have found I have more time to do just this. I gather that you're also supposed to have a baked good with it in order to really create fika, but let's face it, fika gonna get me fat. So, I'm just gonna make it a tea or kombucha break. Also, sadly, I do not like coffee. Ooh. Doesn't that sound...well...just perfect? This is what I strive for. A perfectly balanced day with a little bit of news, a bit of reading, and the perfect amount of writing. Mixed in there I'd like an hour of exercise where I work hard but not too the point of making myself sick. I love to have some "community" on my plate. Laughing with friends in my dance classes. Maybe a coffee date with two of my girlfriends, or just a phone call catching up with a close but long distant friend. But not too much. And only with someone I really like. Yep, the Danes have a name for that too! I mean I guess we say "happy life" but that doesn't seem quite as smart does it? Lykke is a way of life. Just like you practice yoga, you practice Lykke. Being a girl that likes concrete ideas that lead to action this word is perfect for what I'm currently trying to do with my life. 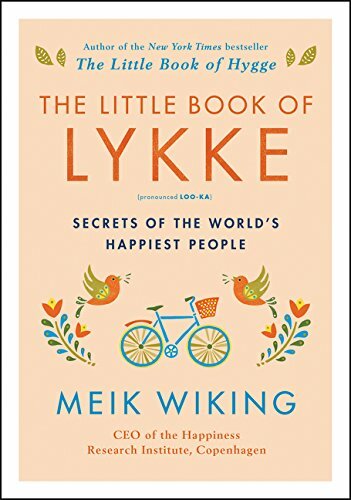 Lykke is said to have six key factors that span the globe in terms of happiness level. Togetherness, money, health, freedom, trust, and kindness. That's really it isn't it? Going beyond this is getting too complicated. If these basic needs are met we know that the rest will come. Or maybe it won't. Perhaps there is no "rest". Or if there is a "rest of my life" I'm not sure I'll care because I'll be living my best lykke. That my friends is deep. You might call it so hygge, lol. There's only one thing I would add to those six. I would like to add honesty. I have made that a core tenant of what I'm trying to strive for. I feel so much more whole when I'm not pretending to be someone I'm not. I guess what I'm saying is it's easy to fake lykke and to make others think you're in it. That's what social media is about. It seems that anything in excess could push you over the edge and into unhappiness. Too much eating, drinking, talking, too many friends, too much worrying about what others think, or boasting about ourselves, can all push us into another land that's out of sync and before you know it, you've tricked yourself and find yourself out of lykke. We've seen that happen with too much togetherness, too much money, too much boasting. We all know a ton of people with boatloads of money who are miserable. The recipe is not complicated. 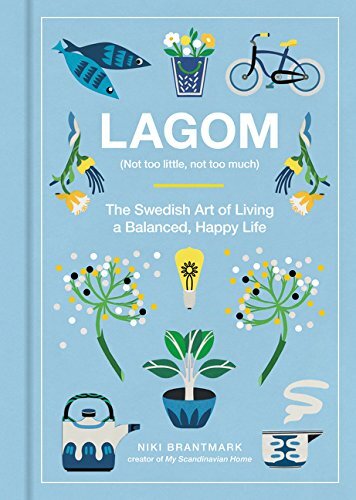 A dash of hygge mixed with a moment of fika and balanced out with lagom creates lagom. Simple. And at the end of all that you top off the day with the Italian's "La Passeggiata": The art of taking a walk in the evening. Oh my gosh, I want to go on a trip now. But instead I'll curl up with a good book and a cup of tea.